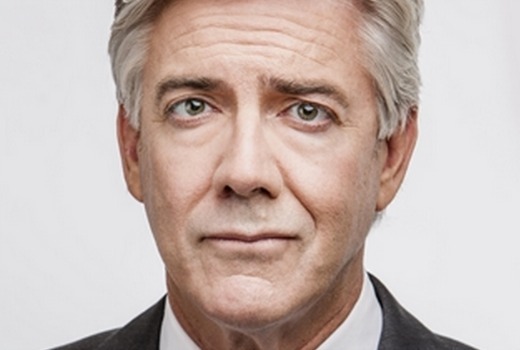 Shaun Micallef’s latest comedy series The Ex-PM, began filming in Melbourne today. In the six-part series created, Micallef plays Australia’s third longest-serving Prime Minister, Andrew Dugdale -once a man who mattered. He dined with Presidents and Kings, hosted world summits and changed the lives of millions of his fellow Australians. But now he’s retired, this not-so-elder statesman has far too much time on his hands and no-one to waste it on. After blowing the advance for his memoirs but writing nothing in return, Dugdale has to accept a ghostwriter, Ellen (Lucy Honigman), into his dysfunctional household (one that includes a wife in name only, a grown-up daughter with father issues – plus her son, a bodyguard who watches too much Person Of Interest on his iPhone, a PA who knows where all the bodies are buried, a chauffeur with a metal plate in his head and a heart of gold – and a cook on a 457 Visa). The ensemble cast also includes Nikki Wendt, Kate Jenkinson, Nicholas Bell, Francis Greenslade, Jackson Tozer, Ming-Zhu Hii and John Clarke. “I am very much looking forward to stepping in front of the cameras for my new series The Ex-PM. Hopefully they will be switched on,” said Micallef. Micallef is writer on the series with Sian Davies (Offspring, Mr & Mrs Murder) directing and Nick Murray (House of Hancock, Stupid Stupid Man) producing for CJZ. It will air on ABC later this year. I can’t wait, sounds hilarious. What an insulting thing to say. They don’t give anyone a go at all, they commission the same people and prod companies over and over again and if someone is to be perceived to be given a go its usually because they are attached to the small list of people/companies they only work with.